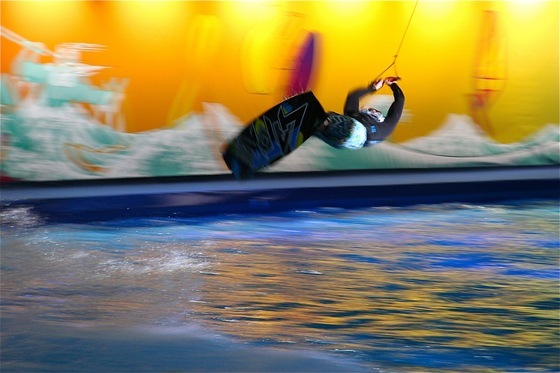 The 2011 London Boat Show is currently bringing wakeboarding to the masses with daily shows from top riders on the System 2 indoor pool. Wakeboard UK made the trip to London to check out the action and view the latest wakeboarding kit and boats from the likes of Mastercraft and Correct Craft. We visited the show on the first weekend and made it to the watersports pool to check out the riding. 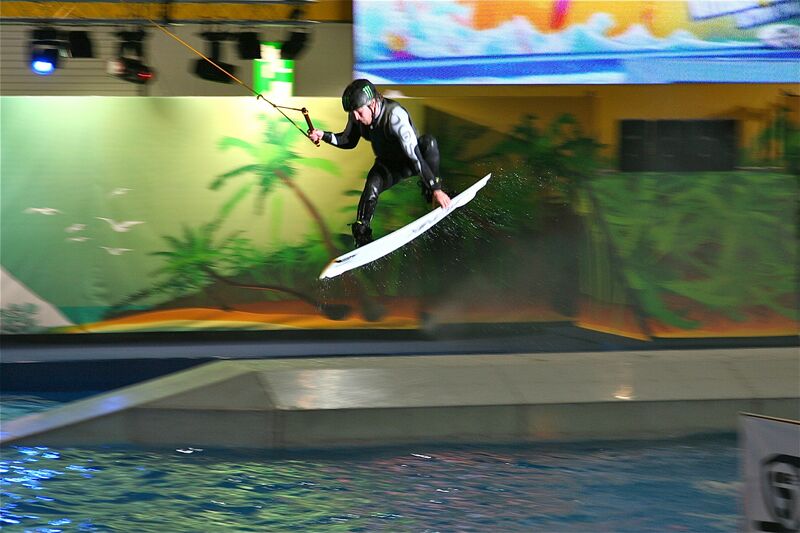 The indoor pool was located right near the entrance so every visitor to the show got full view of the System 2 setup with top UK pro riders ripping it up on the slider and kicker. Matt Crowhurst was hosting the show and did a great job of whipping the crowd into a frenzy for the riders that included Jonty Green, Dan Nott, Lee Debuse and CK. The demo started out with some air tricks including cable specialties including double s-bends and moved onto hitting the slider and kicker. Each rider used the every inch of the confined space of the pool to get as much air as possible with Jonty ollieing the slider the wrong way to confuse the crowd. If you need a fix of pro level wakeboarding then get yourself along to the show for the final weekend and check out the UK talent showing how itâ€™s done. 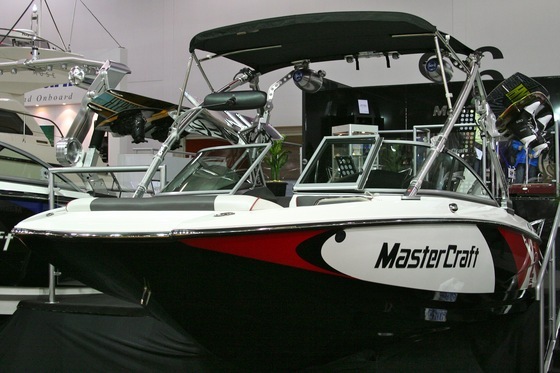 After getting hyped up by the riding we headed off to see what goodies Mastercraft had on their stand and were impressed with their new layout which included a number of sweet looking wake boats including an X15, X2 and X35 Saltwater Series. Across the large stand also stood their 300! Not a wakeboard boat but an awesome bit of kit nevertheless. For 2011 Mastercraft have teamed up with Illmoor engines to provide some impressive looking race derived engines. Itâ€™s a big change moving to a new engine provider but Iâ€™m sure it will prove a good choice looking at the quality of the hardware. Also new this year was the power tower which provided a handy way to drop the height of the tower for towing/storage etc. Thanks to Peter and the rest of Mastercraft UK team for showing us round the new shiny bits of kit. Also on display were a couple of tasty Air Nautiques now being distributed in Scotland by the Loch Lomand crew. It was good to talk to Raymond from the Scottish wakeboard contingent; we have heard good things of the riding up there and looking forward to getting a tow on the Loch in the near future. So we had an excellent time and it was great to see the pro riding and meet up with friends and new facesâ€¦ the show is on for one more weekend, why not get head down there before the show ends!